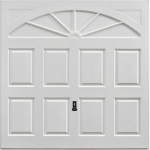 Up and Over garage doors is a general term used to describe two specific types of garage door mechanism; canopy and retractable operating garage doors. An up and over door is a one piece door panel counterbalanced with a spring(s) to make manual or automatic opening easy for the user. The two different types are shown below. 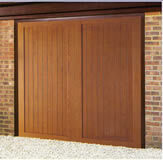 Canopy garage doors are the most common type of garage door found in the UK. The spring mechanism at the top of the door provides the counterbalance lift. 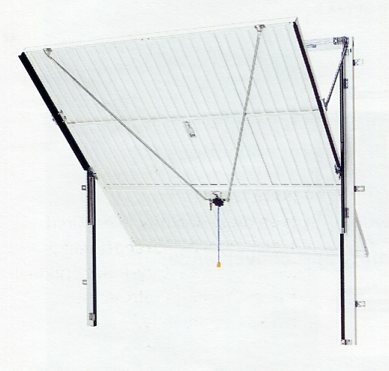 A canopy mechanism is typically used on doors up to 8 feet wide. 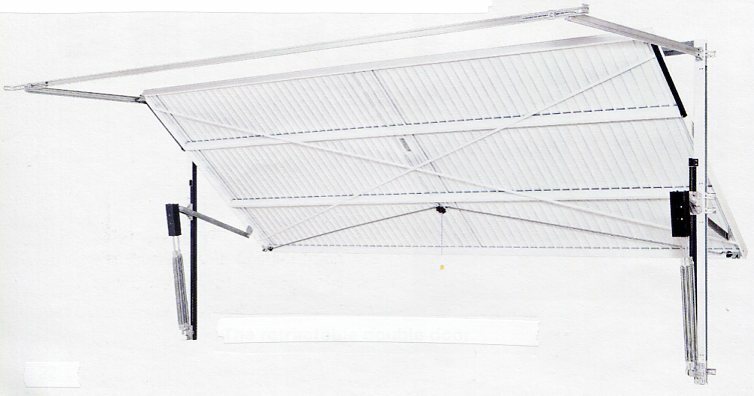 A retractable garage door has horizontal tracks mounted on the ceiling or sidewalls to guide the door back into the garage. The door panel retracts fully into the garage. 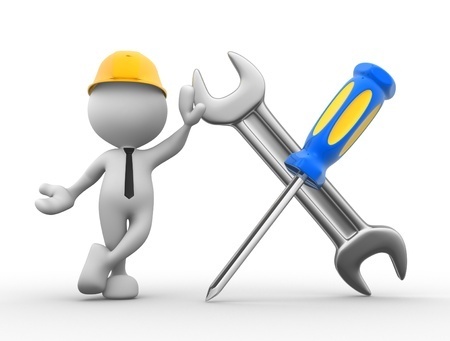 UK wide Supply and Installation. 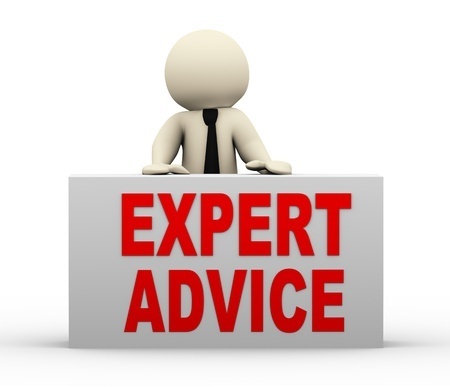 Quality advice from our experts. 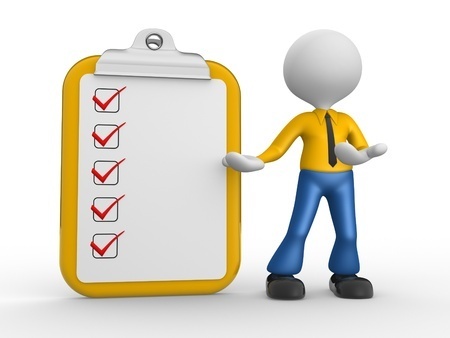 Phone 01691 670394 or e-mail. 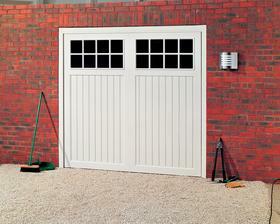 Click to view our garage door guide. 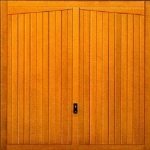 Send us your garage opening sizes. 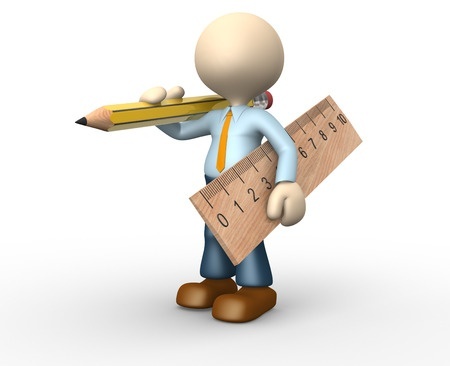 Send us your sizes for accurate advice. 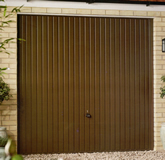 Up & over garage doors can be made from steel, timber, white glass fibre, wood effect fibre glass or ABS and are available in numerous styles and finishes. 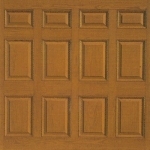 Examples of different materials, designs and colours available as up and over doors are below. 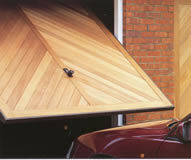 An up and over canopy garage door forms a canopy when it is open with one third of the door sticking out of the garage. 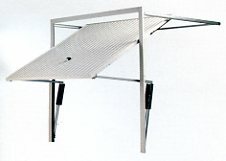 The counterbalance mechanism is mounted onto a steel or timber goalpost frame and has no tracks hanging from the ceiling. Canopy up and over doors arrive with the mechanism pre-installed for quick and easy on-site installation to a timber goalpost frame (70mm x 70mm in section) or factory fitted with a steel frame for very quick and easy on-site installation directly to the brickwork. Rear of typical Cardale canopy up & over door showing multi-point locking. For installation to timber frame. Pre-installed steel frames available. Rear of Hormann canopy garage door fitted to steel fixing frame. Note all mechanism fitted to the goalpost frame. 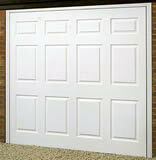 Canopy doors generally have a spring(s) along the inside of the frame crossbar. 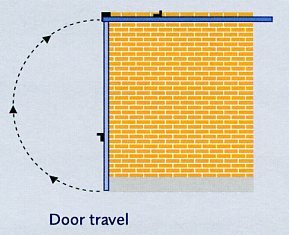 The drive-through width on a canopy door is the distance between the frame uprights as the canopy mechanism does not protrude into the opening at all. 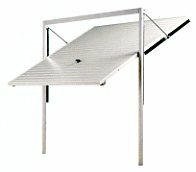 The canopy door is ideal for manual use but is not recommended for automation. 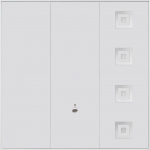 If you want to automate the door now or in the future, please buy a retractable door. See below for details. 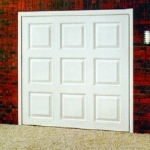 Retractable doors have horizontal tracks mounted on the ceiling or sidewalls to help the door to fully retract back into the garage. 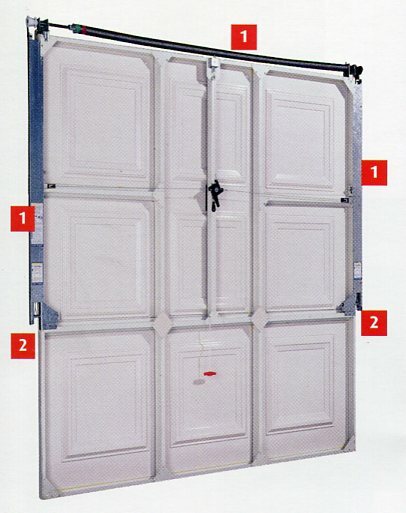 This makes retractable up and over garage doors ideal for automation. Inside view of a double up and over door with a steel fixing frame. Note horizontal tracks to guide door into garage. 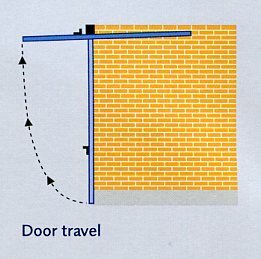 A width restriction can occur where the pivot arms protrude into the aperture of the door. 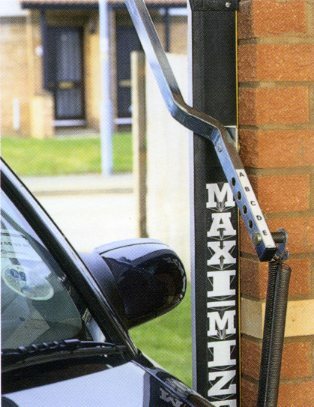 On single width doors, the Retractable Plus Gear (Hormann & Garador) or Cardale Maximizer retractable gear upgrades are available to maximise drive through width. Specially designed lifting arms on the Garador and Hormann Retractable Plus Gear system maximises drive through width on small single doors. Cardale single width retractable doors come with maximizer plus gear to maximize drive through width. Full opening width up to 1200mm off floor for 7’ high doors and full opening width up to 1050mm off floor on 6’6” high doors.